There are many differing opinions about how to prevent gun violence in Northwest Ohio. There's little chance of making progress without discussion. We're starting the conversation with three of Ohio's leaders on the gun violence prevention front lines. 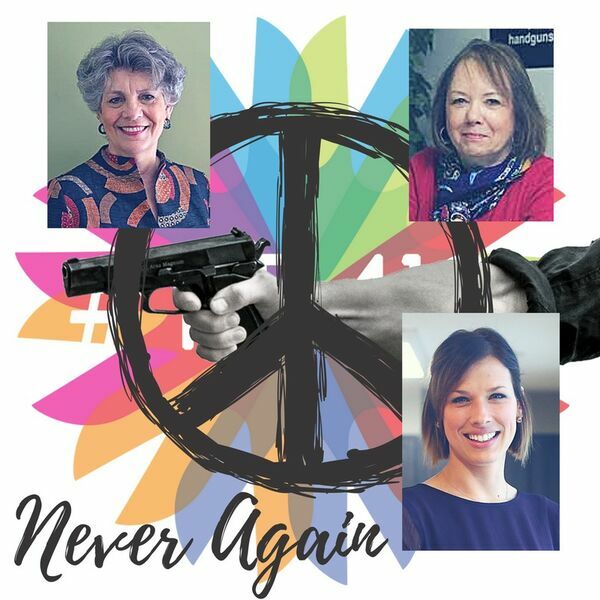 Toby Hoover is an advocate, activist, survivor of gun violence victim, found and retired executive director of the Ohio Coalition Against Gun Violence (OCAGV). The Coalition was formed in 1996 with a mission to reduce gun violence through education, advocacy, and public awareness. OCAGV is a non-profit statewide organization working with partners and supporters to save lives through policy and culture change. To learn more, visit www.ohioceasefire.org, "OhioCeaseFire" on Twitter and Facebook. Rev. Kristine "Kris" Eggert is the Executive Director of God Before Guns, a multi-faith coalition of individuals and faith communities working to reduce gun violence in Cleveland, Ohio. She supported students effected by the Chardon school shooting. Her violence activism has brought her into many faith communities, the Statehouse in Columbus, and the Halls of Congress. You can find out more about her organization at www.godbeforeguns.org or on Facebook at "God Before Guns."